The CMS is the web Content Management System where the app is managed from. 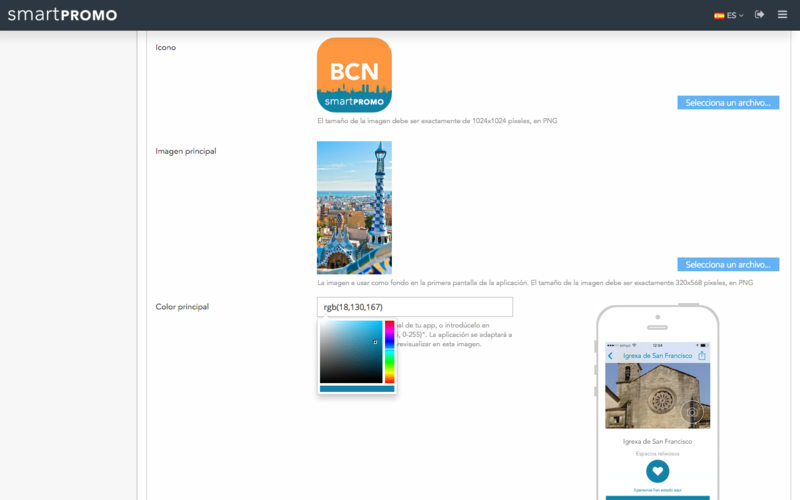 There you can create and customize the app, add and edit members of your association, and also add events, notifications, pictures, check usage stats and analytics, and manage all the content of the app of your association. 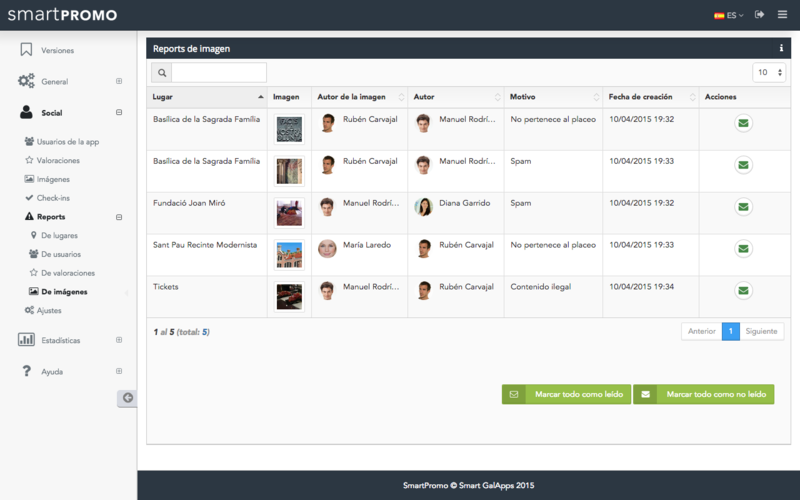 The interface of the CMS of SmartPromo is designed to be intuitive and easy to use. You can easily access to all the content from the side menu and manage it in real time: from deleting a comma to adding hundreds of member companies, you can do it all instantly, without having to wait for a new app release. Setup the main color and app icon, to adapt them to your corporate image. Enter an app description, category, etc. You decide how you want to appear on the App Store and Google Play. 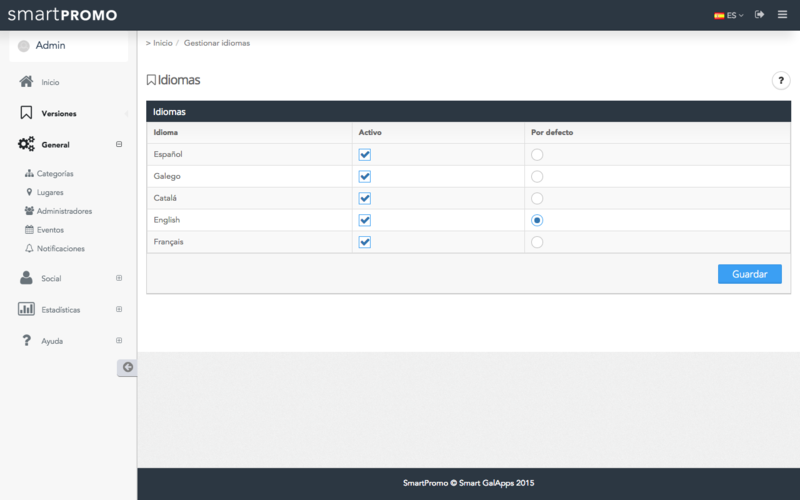 Configure the app to be available in multiple languages. 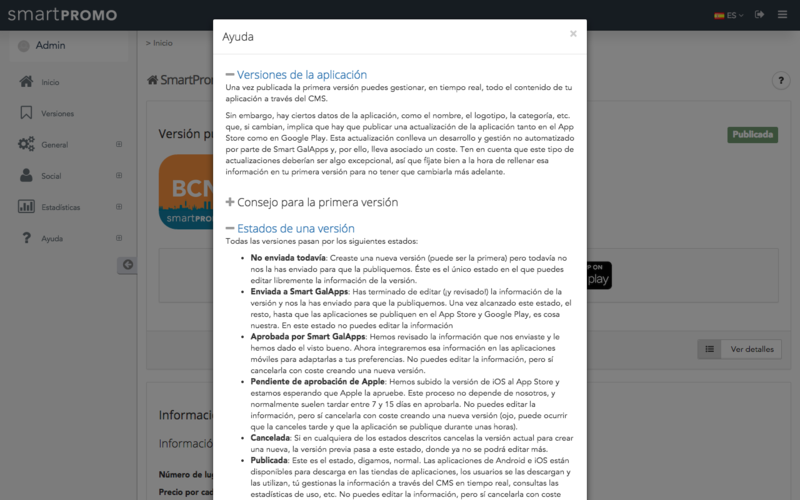 Your users see the app in the language of their devices, and they can also manually select it. 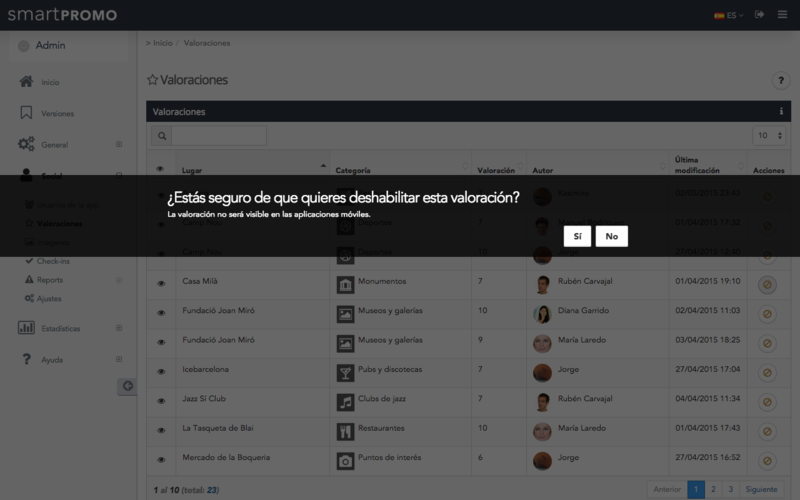 If any content is left untranslated, you can set the default language that will be used instead. 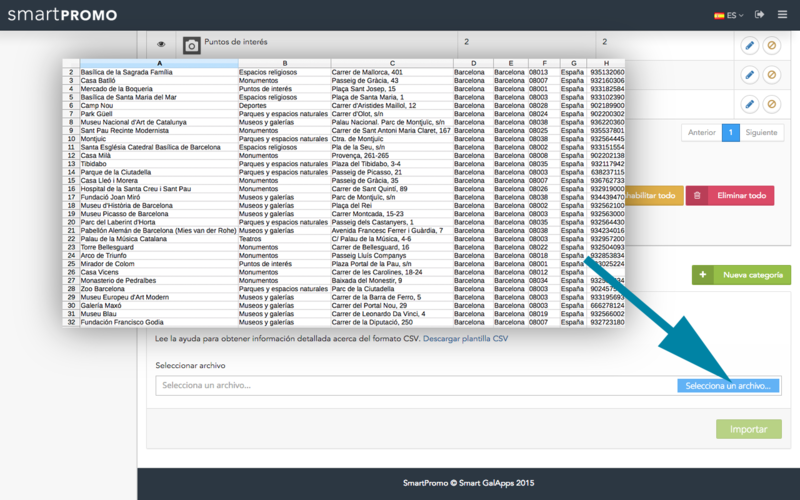 Add all your member companies in a single step from a CSV file. 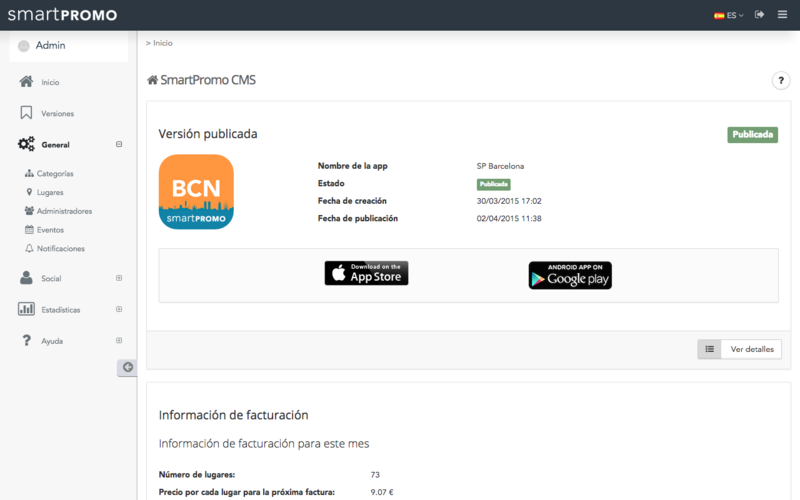 The CMS of SmartPromo provides you with a template to fill with the info of your members, and creates the categories and members in the app for you. Arrage them in different categories: italian restaurants, hotels, mediterranean cuisine, cafes, pubs... You can add as many as you want, and choose a representative icon for each of them. 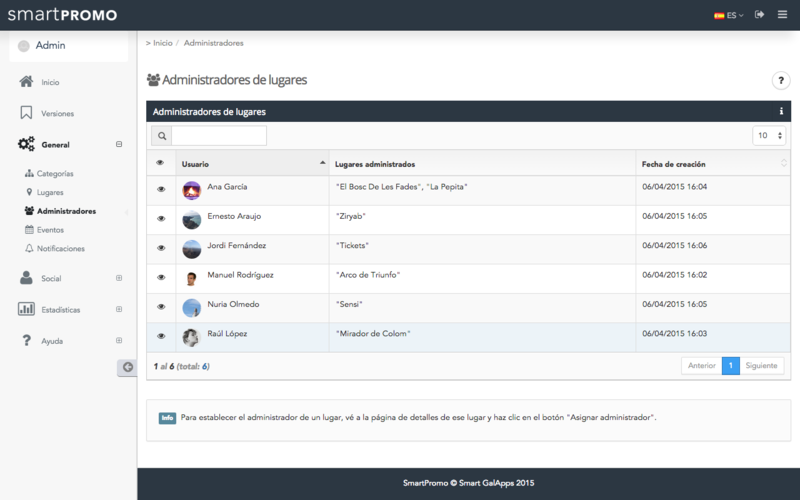 To effectively manage the content of your app, you can designate an administrator to each member company and distribute the management among the different members, while keeping the control and monitoring as general admin. This way, responsibles of each business can manage their own space in the app by adding pictures, events or delivering notifications, checking the usage stats related to their business, and much more. Each member, when creating an event, can add data such as title, description, start and end dates, price or a promotional picture. 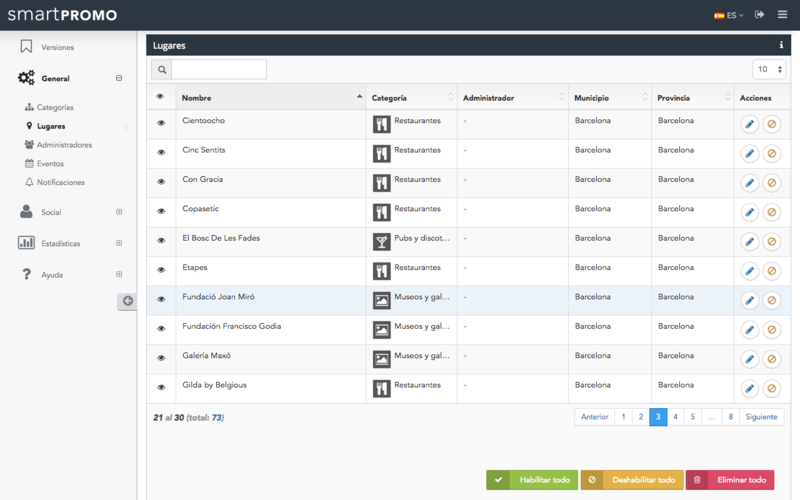 This way you encourage that your users to find your events, sign up for and share them. You can create as many events as you wish. Some examples of events are live shows, conferences, lectures or exhibitions, and also promotions, offers or news. 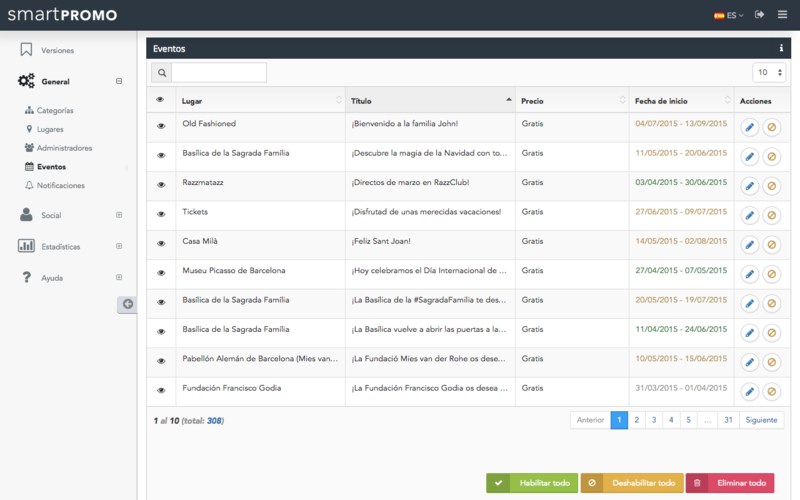 The CMS of SmartPromo allows you to moderate the content added by your users. You can disable any element at any moment and it will stop being visible in the mobile applications. You can even block a user if his behavior is inappropriate. Your users can interact with the app in different ways, and one of them is by sending reports. These reports can inform you about any incident with the content of the application, such as wrong data, pictures or ratings with inappropriated content, or users with inappropriated behavior. 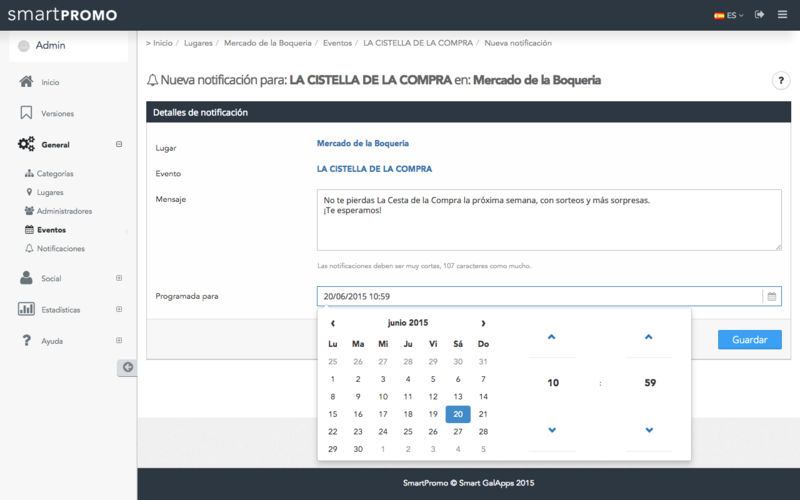 Each member can schedule, just in seconds, announcements to users in the form of PUSH notifications linked to their business or to one of their events for a specific time, and this way keep your clients aware of your activity. And you can send as many notifications as you want without any extra fees! 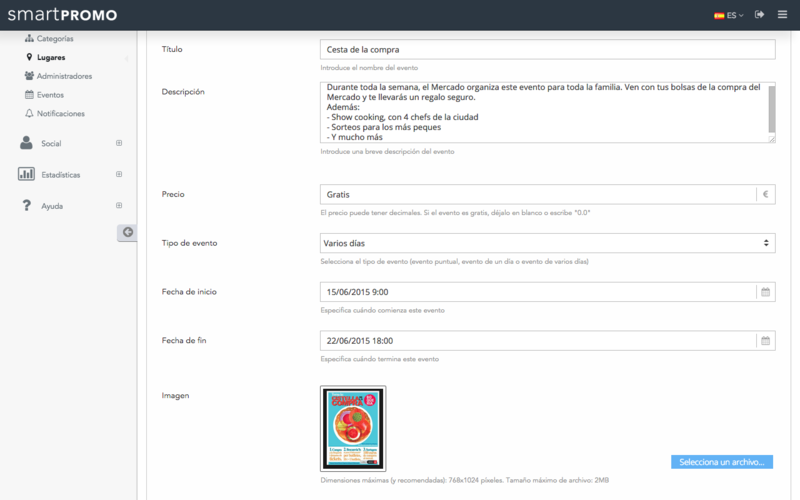 The CMS contains Help panels in multiple sections, where you'll find explanations on how to perform common tasks. SmartPromo is a complete promotional platform, and includes a wide range of usage stats of the app, from customizable graphs to full tables. You can better know the preferences and behavior patterns of your clients; for example, you can see when they prefer to use the app, or which are the most popular categories, companies and events, and this way you can better plan your activity.